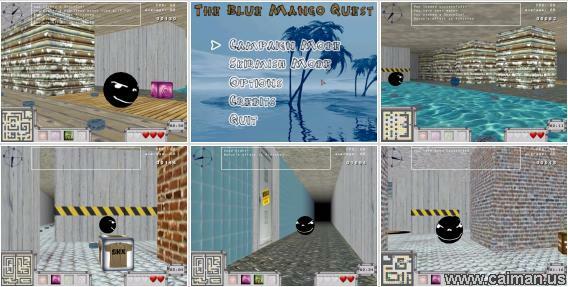 Caiman free games: The Blue Mango Quest by Clement Bourdarias & Guillaume Burlet. 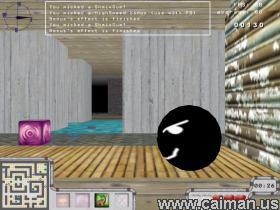 Just like in the traditional FPS games you have the feeling that you are really Pacman. I enjoyed this game very much. 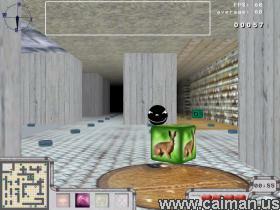 Many maps, alot of bonusses and powerups, many graphic effects, etc. Even teleports! And last but not least: there is a 2D level editor too! Controls: Just as in the most FPS games: arrows + mouse. A must for every gamer who loves pacman and FPS games.